Nelsy Avendano of East Boston cradled her newborn son, Kevin Loaiza-Avendano, in her hospital room at Boston Medical Center last month. Hours after the birth of Emily Gatti’s first child, a nurse offered to whisk the infant off to the nursery so mom could rest. “It was wonderful,’’ said Gatti, recalling those two blissful hours of sleep. That was September 2012. But when Gatti returned to Massachusetts General Hospital last year to have her twins, she was told the nursery was not an option. The infants stayed in her hospital room for four days — nursing much of that time. Late one night a nurse took pity on the exhausted mother, who was also in pain, wrapped the twins in warm blankets and watched over them at the nursing station for a bit. “We really aren’t supposed to do this,’’ Gatti, 33, remembers her commenting. Not anymore. The conventional hospital nursery, where rows of adorable infants doze in front of a picture window, is being phased out for routine use at hospitals in Boston and many other cities. The shift is part of a national movement designed to promote breastfeeding, bonding, and parenting skills by having mothers and healthy newborns room together around-the-clock, attended by nurses who look after their needs. Many postpartum specialists now believe that nurseries, long a life raft for recovering mothers, is not the best, or most natural, way to provide care. After all, doesn’t every mother want constant exposure to her newborn treasure? Not necessarily. 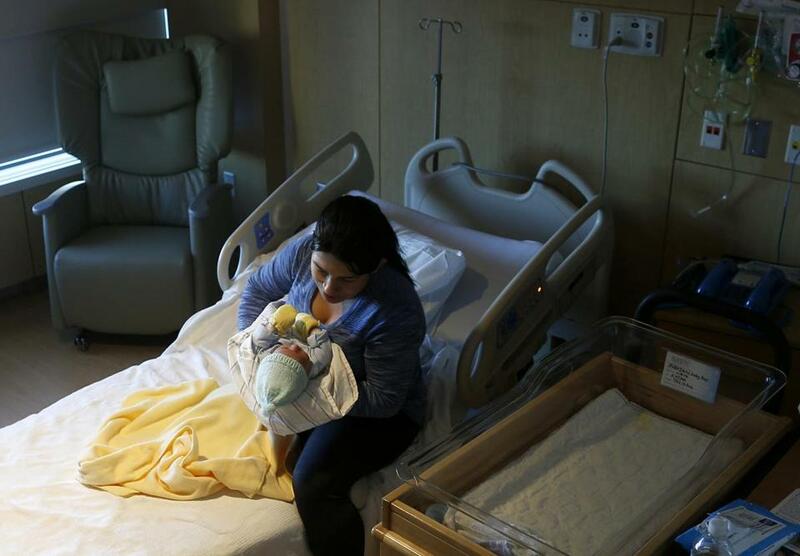 Women seeking a few hours of rest after hours of labor or a caesarean section often are surprised to learn that Massachusetts hospitals are increasingly restricting nursery access or, in some states, have closed the nurseries altogether. In Boston, Boston Medical Center began widespread “rooming-in’’ years ago, Mass. General followed suit more recently, and Beth Israel Deaconess Medical Center is taking similar steps. They collectively deliver more than 11,000 babies a year. Brigham and Women’s Hospital also expects to move in this direction. Hospital leaders at Mass. General and elsewhere say the initiative is backed by a strong body of research. But some patients take issue with the reasoning — as do some nurses on the front lines. They say brief breaks in a nursery will not harm breast feeding in the long run, and that rest is important to keep mothers healthy and prevent serious problems like postpartum depression. “Mothers need to recover from the trauma of delivery, and if they can’t do it at the hospital, where is that supposed to happen?’’ said Holt, who was surprised to learn no nursery was available when her son was born at Mass. General last June. She was hoping to use it to help avoid a relapse of postpartum depression. The changes at Mass. General generated a vigorous debate last month on GardenMoms, an online Boston-based forum, with recent moms and pregnant women posting nearly 100 comments. Some supported rooming-in, but many argued that they should be allowed to choose what is best for their own well-being and that of their baby. “What makes me angry is that this is being couched in the language of being better for the mom and baby — it’s condescending and, yes, it does come across as a choice being made for you,’’ wrote Laura Hazard Owen, 31, of Cambridge, about several hospitals’ policies. Christiane Boezio held her 11-month-old son, Oliver, her second child. There wasn’t a nursery available for Oliver at Mass. General last February. Hospitals say they do of course allow for exceptions, particularly for medical reasons and if a mother is so exhausted she can barely function. And the level of strictness varies. Sometimes nurses struggle to “identify that breaking point’’ when it’s time to take the baby and “avoid the meltdown situation,’’ said Liz O’Mara, a nurse manager at Yale-New Haven Hospital, which delivers 5,600 babies a year. Nurses are educated extensively about the benefits of rooming-in for mothers and babies. At the same time, they want to support their patients. “It’s difficult for staff to find that healthy balance,’’ O’Mara said. Christiane Boezio, 33, experienced that struggle firsthand. When she returned to Mass. General last February to have her second child, she fully intended to take advantage of the nursery, and hopefully avoid the extreme fatigue she experienced the first time. This time when she returned home, she would be caring for a toddler as well as a newborn. But when she asked about a nursery, a nurse told her none was available. Boezio appealed to a second nurse with no luck. She got emotional and in came a supervisor, who said she would “make an exception just this once’’ and watch Oliver at the nurse’s station. Boezio said she asked again the second night, and the answer was no. These dilemmas are bound to become more common. Mothers and babies sharing a room is a key component of the “Baby-Friendly’’ initiative launched by the World Health Organization and the United Nations Children’s Fund to encourage breastfeeding. US hospitals have been slow to adopt the program — for years, Boston Medical Center was the only hospital in Massachusetts to earn the “Baby-Friendly” label. But with the Centers for Disease Control pushing breastfeeding as a public health priority and the Joint Commission, a national accrediting organization, considering breastfeeding rates when it evaluates hospitals, hospitals are now ramping up. The 329 US hospitals that have signed on, including Yale-New Haven and Mass. General, must adhere to 10 key steps, including educating mothers and helping them breast-feed within an hour of birth, giving healthy infants no other drink except breast milk, and practicing around-the-clock rooming-in. Hundreds of additional hospitals are in the pipeline, including Boston’s Brigham and Women’s and Beth Israel Deaconess — the city’s two busiest maternity hospitals. Breastfeeding is less common in the United States than in many other countries, a difference some attribute to the outsized influence formula makers have had on the health care system, providing free samples for hospitals to give to new moms — something the Baby Friendly initiative forbids. In the United States, about 19 percent of babies are fed breast milk exclusively for the first 6 months of their lives, the sixth-lowest rate among North and South American countries, according to WHO. But research has grown about the health benefits of breastfeeding not only for babies — slightly higher IQs and fewer respiratory infections — but for moms in the form of lower breast and ovarian cancer rates, said Chessa Lutter, senior adviser on food and nutrition for WHO and the Pan American Health Organization. One idea behind the Baby Friendly initiative, and rooming-in in particular, is to keep mothers and babies in constant contact so the baby can demand to eat any time, which in turn prompts the woman’s body to produce more milk, Lutter said. Still, she said if a mother insists on the nursery after being educated about its pitfalls and the hospital can accommodate the request, it should. When Ariele Weiss, 29, gave birth to her first child at Mass. General in December, she felt she experienced the benefits of rooming-in. Over those two days, she came to recognize when her son, Jacob, was hungry, and nurses taught her and her husband how to swaddle and bathe him. When he developed jaundice, nurses offered to provide treatment with a phototherapy lamp in the nursery, but Weiss chose to have that done in her room. Her confidence in caring for him grew. “It made the transition to home a little less overwhelming,’’ she said. Moms who are in for their second or third deliveries, however, sometimes have a different perspective. They already have experience — and they have at least one other child to tend to, putting sleep at an even higher premium. Their spouse is often at home minding other children, not at the hospital helping care for a newborn overnight. And a number of women said they already feel tremendous pressure to breastfeed — a process that comes much easier to some mothers than others — and some believe the benefits have been oversold for a developed country like the United States. Gatti, who did not specifically ask MGH staff about using a nursery, said she had no trouble breastfeeding her first baby, even though the infant was in the nursery for several hours. When she gave birth to her twins, she felt she had to push for formula — even though she was in pain from constantly nursing two infants. The hospital has instituted “quiet time’’ on the maternity unit in the late afternoon and overnight to help moms sleep — lights are turned down, voices kept low, and routine medical care is postponed. And it still uses the nursery for circumcisions and for other medical reasons, such as when a baby needs blood sugar monitoring or the mother has a serious infection. 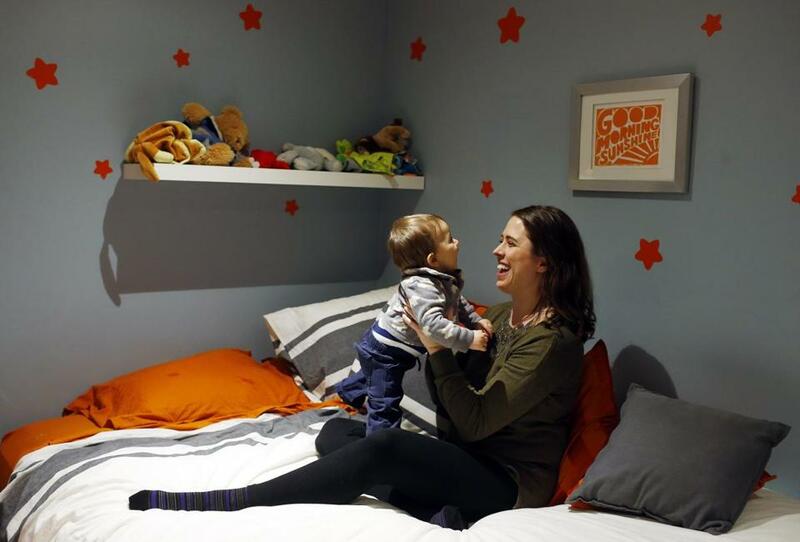 The state Department of Public Health requires hospitals to have well-baby nurseries, but some don’t staff them at all times, and Boston Medical Center won a waiver to reduce its nursery from 30 to 15 cribs. Mary Jo Pedulla, associate chief nurse for maternal child health at BMC, said some mothers protest, but the hospital tries to minimize conflicts by making it clear during prenatal visits that the nursery is for medical reasons only. Regulations vary by state, and some hospitals, like Emory University Hospital Midtown in Atlanta and Dartmouth-Hitchcock in New Hampshire, have not had traditional healthy baby nurseries for years. “We are not saying we cannot take your baby because we are trying to be mean. It’s because it’s the right thing to do,” said Meaghan Smith, nurse manager of the Birthing Pavilion and lactation services at Dartmouth-Hitchcock. A look at rooming-in and breastfeeding rates at local hospitals. Important notes: Rooming in rates in some cases are measured differently by hospitals so direct comparisons are not possible. Most rates do not include medical exceptions. Breastfeeding rate is the “exclusive’’ rate, meaning the percentage of mothers who fed their baby only breast milk while in the hospital. Not all hospitals measured their rates for the same time period so they may not be directly comparable. • Evan Horowitz: Is drinking during pregnancy really so bad?